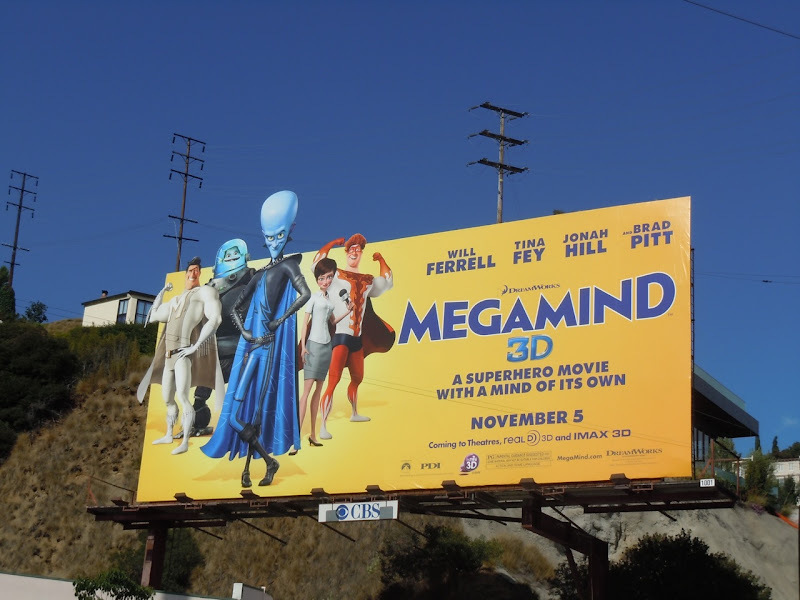 The gang's all here in this new billboard for DreamWorks Megamind. The blue, big skulled alien makes for an unlikely villain-turned-hero, but the movie looks like a whole lot of fun with a cast of great voice talent, from Will Ferrell as the titular 'Megamind', to Tina Fey, Jonah Hill and Brad Pitt. 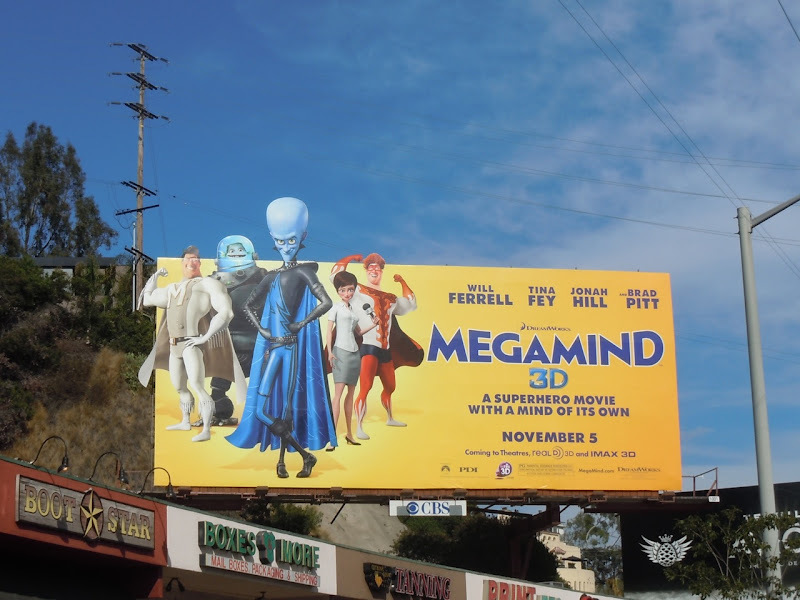 This bright and heroic looking billboard was photographed at the top of La Cienega Boulevard on Sunset Boulevard on October 19, 2010.